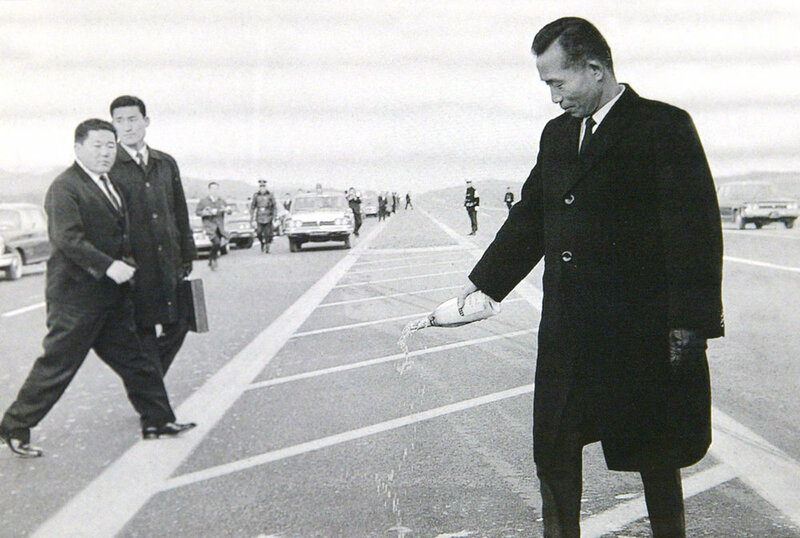 The reconstruction of post-war South Korea, otherwise known as the "Miracle on the Han River", was one of the greatest orchestrations of planned economic growth in modern history. The term often refers to the decade immediately following the Korean War, during which the economy of South Korea rapidly transformed from a network of provincial cottage industries into a burgeoning industrial complex. However, in a broader sense the "Miracle" also refers to the ascendancy and globalization of South Korean people, cities, and culture throughout the latter half of the 20th century (1953-2002). Today, this period of transition lies at the heart of the country’s national identity, similarly to the ways in which the Great Depression or Second World War define Western exceptionalism. And although the history of an undivided Korea has stood for centuries, the origins of Southern modernity are often attributed to the life and mind of a single soldier, who rose to prominence in the aftermath of the Korean War. Park Chung Hee was not South Korea’s first head of state, nor its first democratically elected president. Yet he is often seen as the father of the nation due to his involvement in the organization of the country’s post-war economy, in which a century of growth was effectively condensed into three decades (Don Oberdorfer, The Two Koreas). In many ways, his legacy typifies a system of Asian values frequently regarded as the social fabric of countries like Singapore, Taiwan, Hong Kong, China, and Japan; nations that are continually used to demonstrate the potentiality of market reforms and illuminate the benefits of globalization. However, in an era of increasing technological, political, and economic ubiquity how relevant are the experiences of East Asia's development states? The purpose of raising such a question are two fold: Mainly that the original methods utilized by hard-states were widely abandoned following the collapse of the Soviet Union, and yet, economic convergence continues to be powered by Asian values. Therefore, without understanding the genesis of such "miracles", it is impossible to truly determine the influence of state-led macroeconomic planning in today's global economy, or the dynamics shaping new and emerging markets. Can the experiences of South Korea really be applied else where? Will economic convergence continue to be powered by Asian values? Or is the development state itself a relic of the past? By the time North and South Korea both agreed to an armistice in 1953, the Korean Peninsula had been reduced to a wasteland. Its historical capital, Seoul – the only token of victory for the south – lay in ruins after years of occupational struggle and repossession; while the north proved virtually uninhabitable after surviving the largest bombing campaign in U.S. history. Additionally, throughout the war, disease and destitution had spread across the country, forcing hundreds of thousands of homeless survivors into squalor and inanition. Consequently, a mass exodus of Koreans proceeded to seek asylum abroad, emigrating primarily to Russia, China, and Japan, while UN relief attempted to provided food, shelter, and safety to those left behind. Even for a country familiar with mortality, the human costs of its civil war far exceeded anything Koreans had ever experienced in previous generations. stymie extreme poverty or lawlessness, due to a lack of parliamentary support for then president Rhee Syngman; an aristocratic anti-communist, who publicly deceived and abandoned his own people at the onset of the North Korean invasion (Rhee famously order the destruction of provincial infrastructure to prevent the DPRK army from giving chase, during his escape from Seoul to Busan). In the aftermath of the Korean War, President Rhee attempted to maintain his legitimacy by instituting a state of martial law; imprisoning or executing anyone who politically opposed his government, including members of parliament (1952-1960). However, the edicts implemented by the First Republic had little impact on the nation's economic instability, and eventually a popular uprising lead by students and laborers (April Revolution) expelled Rhee from power, thereby ending his autocracy. Although the legacy of the nation's first government was primarily marred by fecklessness, in the end, the authoritarian precedence set by Rhee Syngman proved to be a watershed moment in the country's history. Not only did South Korean republicanism become a euphemism for dictatorial leadership (1948-1987), but the establishment of totalitarian institutions remained constant throughout the emergence of East Asia's development states. What separated these nations from the communist powers of the time wasn't necessarily the economic or political freedom of their citizens, but rather, an ostensible allegiance to global capitalism as it pertained to the use of international trade as a catalyst for industrialization, decolonization, and national security. In short, a shared belief in Western democracy, or democratic institutions, was not a part of the initial political calculus made by many development states during the Cold War. Although most of these countries were receiving large amounts of military and economic aid from the United States to combat the spread of communism, they were effectively strategic allies that shared little in common with the West other than a hatred for Marxists. And although democratization would eventually arrive in East Asia at the end of the Cold War, free politics was not yet seen as the foundation of national identity for many of these hard states. In the case of South Korea, the path towards democracy was an arduous march, superseded by fears of national and economic insecurity. The Korean War had wreaked unimaginable death and destruction on a country whose civilian leadership had been eradicated by imperial fascists prior to the Second World War. The United States then attempted to remedy this situation by supporting a foreign educated aristocrat as president, but the country dismissed his legitimacy – whereas no regime change occurred in the north. In fact, at the onset of the Cold War, the political demarcation of the region appeared highly ambiguous, if not semantic – and yet, as the world watched one side of the peninsula succumb to factional dissent, it appeared as though the two Koreas were quickly trending in opposite directions. While the first government of South Korea ruled the country for little more than a decade before being removed from power, the reign of its successor, the Second Republic, managed to be even less significant by comparison. In the wake of Rhee Syngman's demise, the Second Republic attempted to introduce political reforms aimed at democratization. However, with the return of partial freedoms, public demonstrations by labor groups and student activists once again promulgated revolution. In the midst of mounting social unrest, the Second Republic was toppled in a military coup only a year after it had been inaugurated (1961). The primary reason for its demise was due in part to the country's over reliance on foreign aid, which greatly emboldened administrative inefficiency, and the continuation of the country's feudal economic system, as it pertained to the relationship between government and enterprise. Koreans have long considered themselves the true practitioners of Confucianism, and as such, have historically strictly regulated or exploited entrepreneurialism in order to support greater cultural endeavors such as scholarship and bureaucracy. This in turn, lead the country to develop an economic system whereby land, labor, and capital were harvested at the leisure of Confucian aristocrats, unconcerned with advancing wealth and productivity themselves (Joseon Dynasty). However, due to the success of the 1961 Coup, this tradition of Confucian coercion was evolved to help transform South Korea into a hard power, predicated on the economic tenets of Japanese fascism. At the center of the nation's armed rebellion against its care-taker government was a general named Park Chung Hee: a veteran of the Korean War, who initially rose to power fighting as an officer of the Imperial Japanese Army on the Manchurian frontier. Like many of his contemporaries, Park's generation came of age under the heel of Japanese colonialism, during which the language, culture, and history of his country were strictly prohibited as Japan transitioned into a fascist state. Koreans of the time were forced to ingratiate themselves by adopting the language, customs, and heritage of Japan, in order to promote a sense of racial and cultural homogeneity (Pan-Asianism). However, the subjugation of Korea also resulted in the severe degradation of many of its social institutions, effectively truncating the autonomy and literacy of its citizens. In turn, Koreans were encouraged to pursue positions of greater economic, political, and intellectual influence by assimilating into Japanese society. However, the majority of those expatriated were predominately appropriated as slave laborers (Hashima Island Industrial Complex) or sexual conscripts (Comfort Women), as opposed to learned specialists and statesmen. As one of the few Koreans to ever successfully manage a position of influence in the Japanese Empire, Park Chung Hee was both a turncoat against his own countrymen, as well as a scholar of imperial modernity – experiences largely emblematic of South Korea's post-colonial dissonance. Born into a poor family from a rural village (Gumi), Park first began his career as a primary school teacher in the nearby city of Daegu. However, the outbreak of the Second Sino-Japanese War (1937-1945) encouraged him to abandon a life of Confucian servitude, in hopes of becoming a decorated solider. After enrolling in the Manchukuo Imperial Army, Park went on to graduate officer training at the top of his class (1942), earning himself a position at the Imperial Japanese Army Academy in Tokyo, where he eventually rose to the rank of lieutenant (1944). As a soldier of Japan, Park Chung Hee was a regimental commander who assisted in the suppression of Manchurian guerrilla fighters throughout the Second World War. After surviving the fall of Japanese imperialism, Park returned to Korea to continue his military career, believing his checkered past would be overlooked in light of his superior military training and education abroad. However, his aspirations were ultimately derailed as a result of his role in a communist cell (Workers' Party of South Korea) accused of a clandestine plot to overthrow the First Republic (Yeosu Rebellion). In return, Park was seen as an anti-nationalist conspirator and sentenced to death. However, at the behest of the country's military leadership, and in return for outing his fellow conspirators, his sentence was commuted by President Rhee (1948). As retribution for his political affiliations, Park Chung Hee was banned from joining the military as an officer, and only permitted to hold a civilian position of limited influence. However, at the outbreak of the Korean War, Park was able to override these sanctions and quickly returned to active service in the fight against North Korea. By the end of the war he had risen to the rank of brigadier general, and was entrenched in the country's military infrastructure despite the inconsistency of his political leanings. Although South Korean society is traditionally defined by a mixture of Confucian, Buddhist, and Shamanistic principles, the influence of Japanese colonialism also played an integral role in determining the nation's post-war economic resurgence, following the expulsion of civilian rule during the Coup of 1961. At that time, the legitimacy of South Korea's military junta, otherwise known as the Supreme Council for National Reconstruction, far outweighed that of the Second Republic, as demonstrated by the United States' decision to not intervene on behalf of standing president Yun Posun. This in turn, radically shifted power away from the country's surviving political elite – Western educated intellectuals – into the hands of a small group of decorated soldiers, who'd begun their careers as Japanese officers colonizing northern China. As service men responsible for the security and development of the emperor's most prized territory, Park and his loyalist observed and imbibed many of the economic and social reforms responsible for transforming Japan into an empire at the beginning of the 20th century. This shift in public policy was typified by the establishment of a ruling military class – a notion in direct conflict with Confucian virtues, yet ultimately responsible for producing every ROK head of state from 1961 to 1993 – as well as the conscription of society itself, through the promulgation of military hierarchies, cultures, and organizational systems. In essence, every aspect of social life became a form of national service, in which everyone was expected to be a solider in their respective role: yield to the system, sacrifice, persevere, and succeed. In addition, the continuation of political and economic institutions introduced during colonization also reflected the influence of Japanese hegemony as it pertained to the national development of South Korea's command economy. Although the United States also played a critical, if not singular, role in the development of the South Korean state, its geographical proximity and cultural familiarity with Japanese society, under Park Chung Hee, frequently transcended the United States' influence on matters of domestic policy. In particular, the success of Japan's own post-war economic "miracle", inspired South Korean leadership to strive to emulate and implement similar paradigms as demonstrated by the status, structure, and function of its chaebals – à la the zaibatsu. As well as the decision to specialize in, subsidize, and export the same industrial goods and services as the Japanese – à la Japan Inc.
"The technocrats and the international economic advisers thought the heavy industry strategy was foolish. They worried about the post-Korean War baby boom generation, which would be hitting the unemployment market in large numbers between 1975 and 1985. Unless the economy expanded rapidly enough to provide about 500,000 new jobs every year, unemployment would increase to dangerous levels. The technocrats believed that the country was in a race against this demographic time bomb, which would be diffused only by quickly developing the labor-intensive light manufacturing sector. Light industries like textiles and wigs provided plenty of jobs and thus seemed eminently more sensible to the technocratic planners than the grand notions of building up heavy industry... The technocrats, many of them with doctorates from American universities, have usually favored textbook approaches, designed to capitalize on Korea's supposed comparative advantages. When labor was cheap, as it was in the 1960s, they wanted to stay in labor-intensive industries. They thought it was impossible for Korea to somehow violate economic rules by, for example, building a steel industry. Later they opposed autos and semiconductors" (Mark Clifford, Troubled Tiger). "When did our ancestors, even once, dominate the territories of others, seek foreign civilization in order to reform our national society, demonstrate our power of unity to the outside world and act with independence in the face of others? Always it has been we who have been mauled by the big Powers, assimilated by foreign cultures, impeded by primitive forms of industry, indulged in fratricidal squabbles. Ours has been a history of stagnation, idleness, complacency, accommodation and feudalism". Although seemingly problematic, Park's historical analysis accurately reflects Korea's highly intricate and divisive approach to hegemony, frequently regarded as a "shrimp among whales" mentality. At the height of global imperialism, Park witnessed Japan – a nation which Koreans had historically perceived as culturally inferior and philosophically inept (see here) – overcome centuries of geographical, political, and economic isolation to not only conquer his own people, but usurp and overthrow the entire Sino-centric system. For many at the time, the downfall of Chinese hegemony was incomprehensible, but for Park, the brilliance of Japan's pivot to the West was irrefutable. So much so, that despite being a victim of colonial serfdom, he too was determined to exploit the tenets of imperial-fascist statecraft in order to establish, once and for all, the sovereignty of the Korean Peninsula. From his military training Park Chung Hee understood the significance of a robust state apparatus; one so heavily fortified and consolidated that its power was absolute. In the case of South Korea, the threat of invasion and insurrection constantly beleaguered the nation, which naturally lent credibility to Park's belief in a highly militarized and industrial state, replete with sprawling infrastructure and economic machinery. In turn, the foundation of the South Korean economy was initially designed to foster national development through military rearmament and procurement. However, to execute this model of development Park knew he would need more than the support of just his generals and soldiers. He needed the loyalty of the nation's bourgeoisie, which he solicited by using control over the military to entrap and reprimand anyone who did not believe that business worked at the pleasure of the state. However, unlike his communist contemporaries, Park's experience as a military logistician had also taught him the importance of sound economic planning. He knew that by purging the country entirely of private equity, growth would be curtailed. And as such, sought to open the domestic market to foreign investment by fostering a new generation of business elites eager to make their fortunes in the industries he'd deemed critical to national development. Those who refused to pledge allegiance to the military junta, or follow its agenda, were immediately cut down. While those who obeyed, went on to build the nation's largest conglomerates, also known as chaebals, and forever solidify their place in Korean history. Many of the founding South Korean industrialists at the time were soldier entrepreneurs: those who had come up with Park Chung Hee in the military, participated in the 1961 Coup, and possessed transferable skills (i.e. Kim Tae Joon). Others were tenaciously ambitious civilians: small business owners who saw themselves as national capitalist, capable of rebuilding Korea better than before (i.e. Chung Ju-Yung). Most importantly however, the men chosen by Park to power the economy had demonstrated an insatiable ambition for success, unassuaged by the injustices foisted onto their generation. However, sheer will and determination weren't the only factors guiding South Korea's economic resurgence. The decision to vertically integrate export industries – and later, promote the horizontal spread of chaebal subsidies – radically influenced the development of South Korean firms as well. In particular, to incentivize the creation of large corporations and economies of scale, the government created a strict regulatory system in which every strategic industry was governed by an incredibly onerous licensing process. Once sanctioned, these firms were expected to not only meticulously execute the government's development goals, but also export their goods and services abroad in order pay off the nation's debts through foreign capital. To insure growth, these conglomerates were also given 0% interest loans and their international contracts were financially guaranteed by the government. "The no-foreign-school-supplies rule was enforced by way of surprise inspections, heralded by the teacher suddenly yelling mid-lecture: 'Everyone, put your hands on the top of your head!' This would send all the students into full-on freakout mode, trying in vain to hide their Japanese mechanical pencils in the gaps between the floorboards, like a drug dealer flushing his stash down the toilet." However, in return for this protection, successful companies were obligated to acquire and turn around other unsuccessful businesses, regardless of their financial position, and subsidize government projects when called upon. Although inconceivable in the West, this system of guided capitalism ultimately proved highly successful in South Korea due to the implementation of mandated institutional relationships, which effectively "raised the floor" on failure and socialized wealth in the form of national development initiatives. By pushing industry out of Seoul and into the hinterland (in particular, the hometowns of himself and his allies) Park was able to economically and spiritually unify the nation unlike never before. Within the first 5-year plan (1962-1966), regions of the peninsula which had long withered away in total isolation, became completely repurposed to lead the country in industry and trade, as Park's government proceeded to install a new economy throughout the southeastern corridor. Lastly, and most importantly however, the success of Koreans and Korean firms abroad was also critical to the success of the country's economic resurgence, due to the inflow of foreign investment. The Vietnam War in particular, played a crucial role in helping South Korean firms affect globalization, as companies such as Korean Air, Hyundai, and Hanjin, were able to receive their first foreign contracts for providing transportation, construction, and port services to the U.S. during the conflict (South Korea also received vast amounts of aid for supplying a total of 300,000 troops). As a result, not only did the country receive an economic windfall, but these firms were also able to establish an international reputation, which quickly laid the foundation for more trade and investment. Even today, this strategy of political and economic mercenarism continues to be utilized in order to augment the country's global influence via the construction of public works in foreign countries. While many of Park's economic policies dramatically improved national living standards, and hoisted South Korean businesses into the global economy, his political legacy is often split into two chapters. The first half being defined by stability and optimism, as Park guided the nation back towards democracy and economic prosperity under the Third Republic. While his second term saw the country forced deeper into the throes of totalitarianism, as he sought to revise the South Korean constitution in order to grant himself unmitigated and interminable authority (Yushin Constitution). In particular, the continuation of Park's economic system (1972-1979) resulted in both rapid inflation as well as heightened outbursts of political violence, as national austerity and the rising costs of living began to fray the bond between him and his people. Wages couldn't rise fast enough to outpace the cost of development, and no amount of political theater could continue to convince society that the nation was still sacrificing as one. 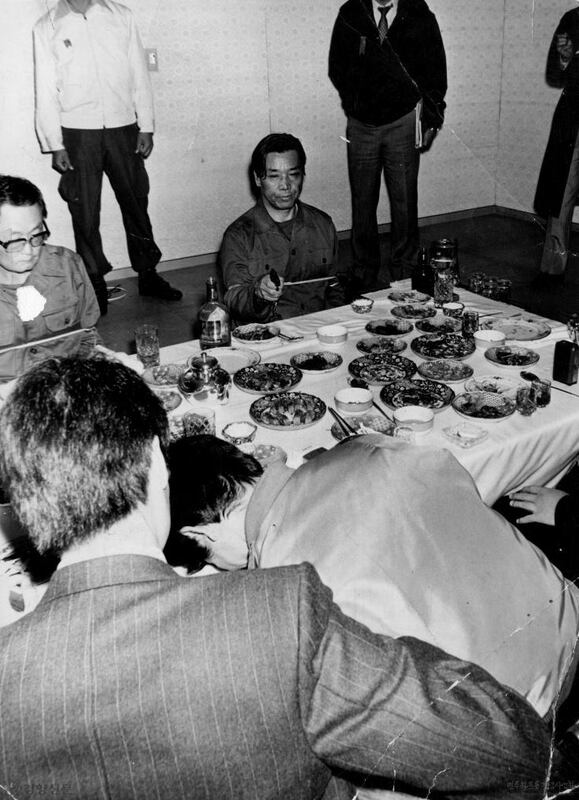 Then in 1974, while giving a televised speech at the National Theater in Seoul, a Japanese-born North Korean named Mun Se-Gwang, attempted to assassinate Park Chung Hee, but instead misfired into the dais and accidentally murdered his wife, Yuk Young-Soo (see here). The event was a national tragedy, and briefly legitimized Park's Yushin regime as well as the political repression and criminalization of those marginalized by the Fourth Republic. However by the end of the 1970s South Korea was no longer a tattered nation, desperately trying to survive. It was an industrial fortress, and rising economic power. But after 18 years of development by decree the foundations of society were beginning to crumble. South Koreans themselves were no longer satiated by the notion that they'd escaped destitution by becoming the world's sweat shop. They wanted to part ways with Park's vision but his decision to disregard reform entirely, guaranteed his demise would be equally absolute. On October 26th, 1979, Park Chung Hee was attending a dinner at the Korea Central Intelligence Agency headquarters, when he was suddenly assassinated by one of his most trusted subordinates. He had been accompanied by the head of the KCIA (Kim Jae Kyu), a top aid (Cha Chi Chol), and two celebrity hostesses who'd been summoned to entertain the dictator and his bureaucrats. The meeting offered Park the opportunity to berate his KCIA director for not preventing a series of large scale riots that had erupted in the industrial belt, a week prior, and initiated a temporary state of martial law. In the middle of Park's tirade against the rioters, in which he insisted that no life be spared, the head of the KCIA abruptly left the room to retrieve his personal firearm. When he returned, he proceeded to open fire on both men, forever changing the course of Korean history. In the aftermath of Park Chung Hee's assassination, Kim Jae Kyu's motives for murdering the president were never fully verified due to the severity of his crime. At the time, Kim was seen as an abomination, a pariah, and subsequently executed by hanging in 1980. However, over time his legacy has somewhat evolved, albeit begrudgingly, to represent the end of Park's Yushin regime, and the decline of South Korean totalitarianism. Nevertheless, today Kim still remains one of the most controversial figures in modern Korean history, even by many of Park's greatest adversaries. The collapse of the Fourth Republic was a flashpoint for South Korea. Even after his death, Park Chung Hee remained transcendent in the minds of most citizens. According to a U.S. official at the time, "The tragic thing about Park is that if he had only retired as president he would have been regarded as Korea's greatest living hero and Korea would be much further along on the road toward democracy" (Troubled Tiger, 1998). In addition, the possibility of another North Korean invasion – a threat which seemed imminent in the absence of Park's constant, didactic leadership – further compounded the national hysteria surrounding the dictator-president's downfall. The country simply did not have a contingency plan for a post-Park era, primarily because Park Chung Hee himself refused to accept the limitations of his own authority. His Meiji-era economic models and political virtues were so archaic, that not even the Japanese had sought to replicate them in their original form – in particular the decision to overvalue the Korean Won as a means of projecting global influence – and as such, the initial success of these industrial development policies was as much the product of Park's preternatural understanding of political theater as it was the conviction and self-sacrifice of Koreans themselves. As such, although the initial success of his industrial policies was irrefutable, they were far too mercantile to survive reform. However, in the end, Park essentially went too far in his pursuit to shape the nation in his own image, falsely assuming that his heavenly mandate was beyond reproach, or that the mercantile policies of his dictatorship could subvert reform. Nevertheless, his downfall still continued in a tradition of progress by inadvertently marking the beginning of two separate and salient Korean entities – in the sense that – up until Park's death, both North and South Korea roughly mirrored one another in their political and economic methods. However, by breaking from the Yushin system, South Korea rejected the totalitarian institutions that continued to thrive in the North, and forced itself onto a path of political liberation. In conclusion, the foundations of modern South Korea were equally developed by both the economic ambitions of Park Chung Hee, as well as the pluralistic aspirations of the nation as a whole. As a result, it is impossible to view the globalization of South Korean businesses, culture, and society as the capstone of Park's legacy, but rather; a surviving artifact of his reign, saved by political and economic reformation in the years that followed. What advances were made under his leadership can be summarized as incredibly aggressive investments in industry, education, and infrastructure – most notably in rural factory towns and cities – which compacted economic development. However, today's society bears little, if any, resemblance to the time of Park Chung Hee; as demonstrated by the culture, technology, and politics of contemporary South Korea. And even those who came of age during, or benefited from Park's rule, tend to be skeptical of history repeating itself, despite their fealty. The country, as whole, has naturally become more accustomed to the wealth and peace, now ubiquitous throughout South Korea, as opposed to the days of yesteryear; marred by trenchant upheaval and self-sacrifice. For many, the road to prosperity took as much as it gave, as countless perished under the brutal sanctions of Park's dictatorship, in the name of national development, security, and political unity. And yet, for nearly every development state, the promise of global capitalism often began as a strongman's dream, willed into existence. For South Korea, however, what began as a radical economic transformation would eventually give way to even greater political and cultural ambitious never before seen in the country's history.